EPFO has launched Direct UAN Allotment Service. If you are searching for a new job or intended to join new job you can generate UAN number on your own. As you are aware that UAN is mandatory for PF account and member contribution. The current process of UAN generation is with the employer. In case of a large number of new joiners, it becomes difficult for the employer to handle large number or UAN generation request. There may be a mismatch in Aadhaar information and other data which leads to delay in UAN generation. In order to simplify this, EPFO has launched Direct UAN Allotment Services. Now any Indian Citizen with valid Aadhaar Card can generate his/her UAN number on their own. They just need to visit Unified Portal and follow certain steps to generate UAN. The generated UAN can be submitted to the employer while joining a new job. The introduction of new Direct UAN Allotment service will save a lot of time. Employee and Employer both will be happy with this service. 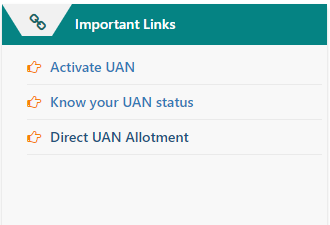 If you are willing to use this new direct UAN allotment service here is step by step process. Also Read – One Member One EPF Account – How to Transfer EPF Account? Steps to generate new UAN by using new Unified Portal is given below. Once you click on this link, a new screen will ask your Aadhaar Number. 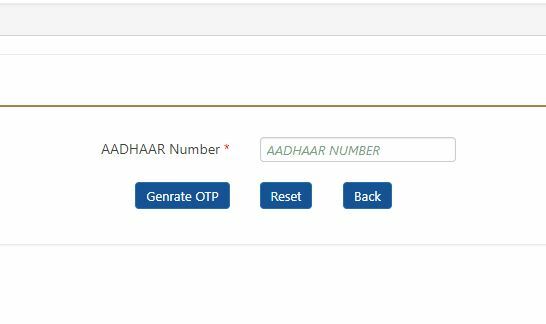 Input your Aadhaar and click on “Generate OTP”. On clicking OTP will be sent to your registered mobile number. On entering the OTP and accepting the Disclaimer provided therein by clicking on the box, the Submit Button will be enabled. Now click on the “Submit” button to proceed further. The screen will display the Basic Details available against your Aadhaar. You can verify your details and enter the required data in the mandatory fields provided in the screen. You need to click the Register button. On clicking the “Register” button the UAN will be allotted and will be displayed on the screen. In order to use above facility your Aadhaar must be linked to your mobile number. You should not hold any other UAN account. If your Aadhaar is already linked to UAN it will display your Aadhaar is already linked with UAN. For more information about Universal Account Number call on Toll Free No. 1800-118-005. UAN generation process will be faster and hassle-free. The problem like Aadhaar Mismatch and information mismatch can be avoided. The step of KYC update and linking Aadhaar with UAN account at a later stage is not required. Please Share your views and experiences in the comment section.